The lymphatic system is a series of vessels and nodes that collect and filter excess tissue fluid (lymph), before returning it to the venous circulation. It forms a vital part of the body’s immune defence. In this article, we shall look at the components of the lymphatic system, their structure and their clinical correlations. 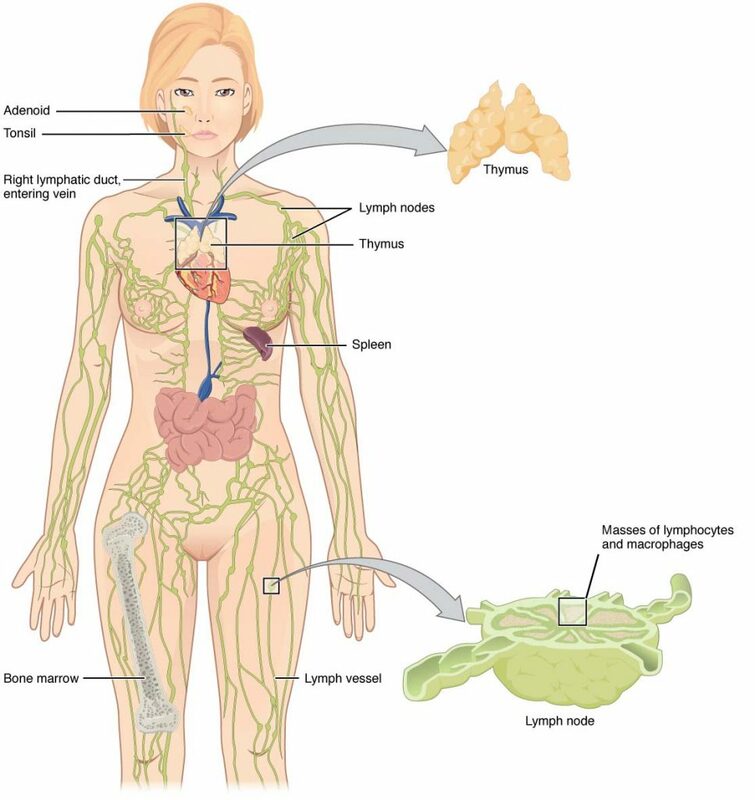 Fig 1 – Overview of the lymphatic system. It contains lymphoid organs, vessels, nodes and lymph fluid. There are a number of organs that contain lymphatic tissue. They are involved in blood filtering and the maturation of lymphocytes. Spleen – Functions mainly as a blood filter, removing old red blood cells. It also plays a role in the immune response. Thymus – Responsible for the development and maturation of T lymphocyte cells. Red bone marrow – Responsible for maturation of immature lymphocytes, much like the thymus. In addition, some lymphatic tissue is located in the tonsils, appendix, and in the walls of the gastrointestinal tract. Lymph nodes are kidney shaped structures which act to filter foreign particles from the blood, and play an important role in the immune response to infection. On average, an adult has around 400 to 450 different lymph nodes spread throughout the body – with the majority located within the abdomen. Each node contains T lymphocytes, B lymphocytes, and other immune cells. They are exposed to the fluid as it passes through the node, and can mount an immune response if they detect the presence of a pathogen. This immune response often recruits more inflammatory cells into the node – which is why lymph nodes are palpable during infection. Lymph fluid enters the node through afferent lymphatic channels and leaves the node via efferent channels. Macrophages located within the sinuses of the lymph node act to filter foreign particles out of the fluid as it travels through. 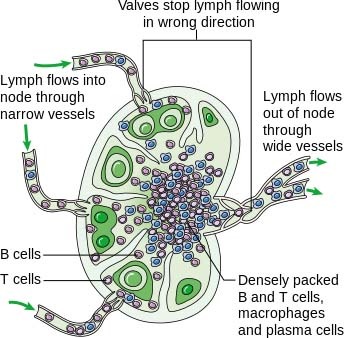 Fig 2 – Structure of a lymph node. Superficial vessels – arise in the subcutaneous tissue, and tends to accompany venous flow. They eventually drain into deep vessels. 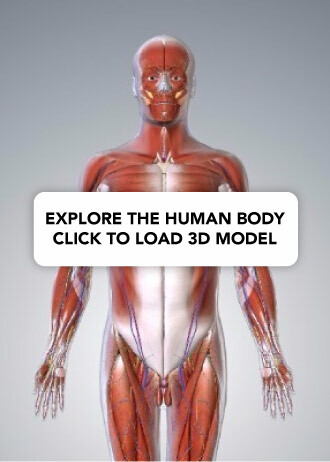 Deep vessels – drain the deeper structures of the body, such as the internal organs. They tend to accompany deep arteries. The drainage of lymph begins in lymph channels, which start as blind ended capillaries and gradually develop into vessels. These vessels travel proximally, draining through several lymph nodes. Eventually the vessels empty into lymphatic trunks (also known as collecting vessels) – and these eventually converge to form the right lymphatic duct and the thoracic duct. The right lymphatic duct is responsible for draining the lymph from the upper right quadrant of the body. This includes the right side of the head and neck, the right side of the thorax and the right upper limb. The thoracic duct is much larger and drains lymph from the rest of the body. 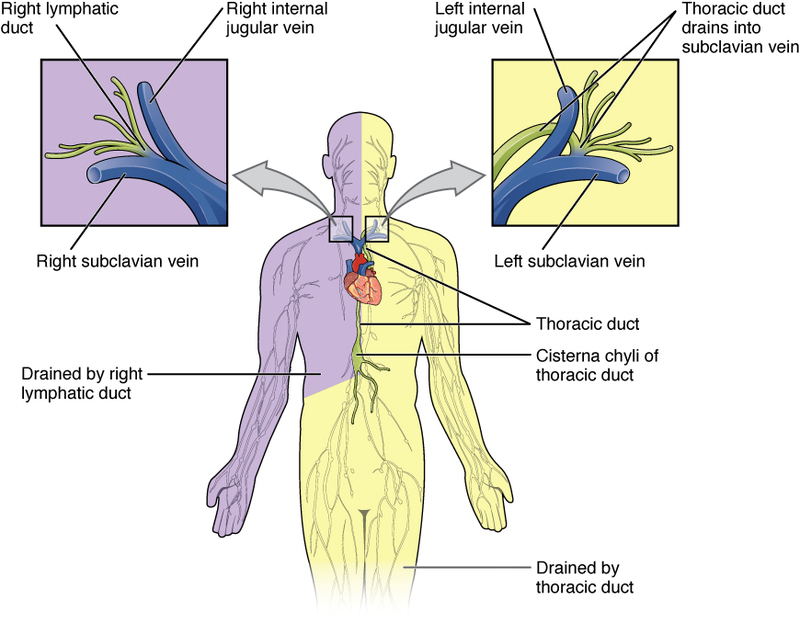 These two ducts then empty into the venous circulation at the subclavian veins, via the right and left venous angles. Fig 3 – The left and right lymphatic ducts. Lymph is a transudative fluid that is transparent and yellow. It is formed when fluid leaves the capillary bed in tissues due to hydrostatic pressure. Roughly 10% of blood volume becomes lymph. The composition of lymph is fairly similar to that of blood plasma, with the majority of the volume (around 95%) comprised of water. The remaining 5% is composed of proteins, lipids, carbohydrates (mainly glucose), various ions and some cells (mainly lymphocytes), although this can vary depending on where in the body the lymph is produced. For example, chyle (lymph that is produced in the gastrointestinal system) is particularly rich in fats. The average adult produces between 3-4 litres of lymphatic fluid each day, although this can vary in illness. Fig 4 – A follicular lymphoma. 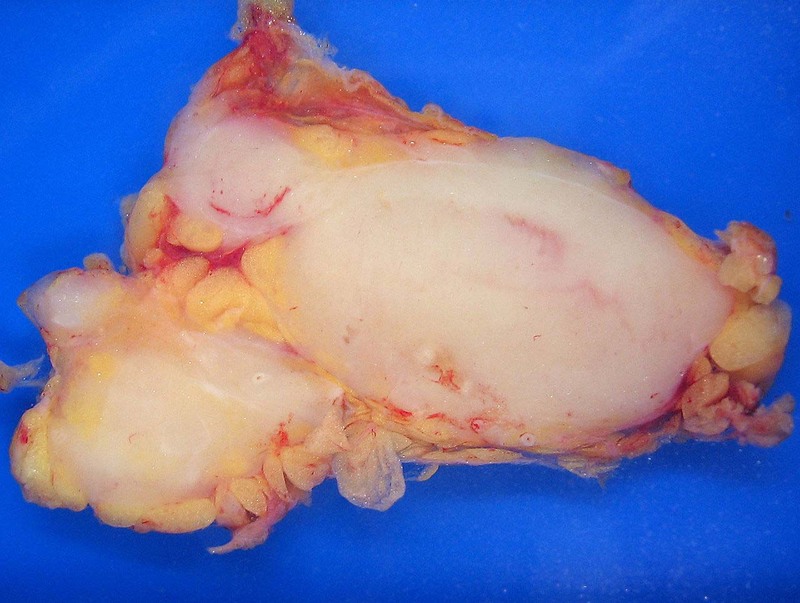 A diagnosis is reached following a lymph node biopsy, if histological features of lymphoma are found, further tests such as immunophenotyping can be carried out to determine the subtype. Where can the majority of lymph nodes be found within the body? Which type of lymphatic vessel tends to accompany arteries? The right lymphatic duct drains which part of the body?